This afternoon while at my friend Bridget's house, she ate some cinnamon raisin swirl toast. I thought about that bread and decided I wanted to make it, but I wanted to include oats. Oats, cinnamon, and raisins seems to go together I think, or maybe Quaker Oats Company taught me to believe that. We ate instant Quaker oatmeal sometimes when I was a kid, and one of the flavors was cinnamon raisin. Truthfully I didn't like that flavor growing up. 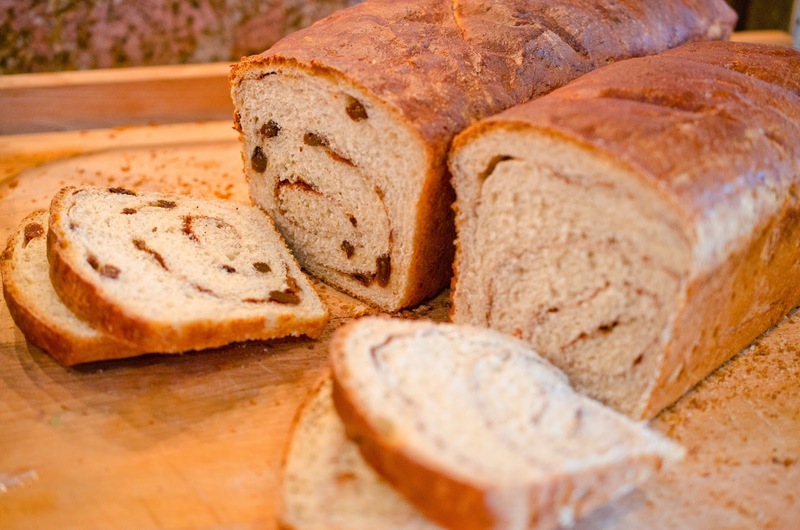 I did like cinnamon raisin bread though, my mom would buy a bread from Costco, they were shaped like a hotdog bun and were as dense as a bagel and filled with cinnamon and walnuts and raisins. I loved that bread toasted and spread with butter. My point is, I wanted cinnamon swirl bread, but I didn't want to drive to Costco where Bridget bought her loaf, so I made it instead. Last week I received a shipment of oat groats, so I was ready to make my own oat flour for my bread. I looked for a recipe for the bread I wanted to make first. I wanted an oat bread with cinnamon and raisins. I wanted a swirl of cinnamon and raisins. All the recipes I saw included the cinnamon and raisins mixed into all the dough instead of rolled into the dough like a cinnamon roll. Since I couldn't find a recipe. I made one up, well mostly. I used the recipe "American White Bread from "Artisan Bread in 5 minutes" as a starting point and re-worked it a lot for my own purposes. The smell from this bread is heavenly. You should make this bread. 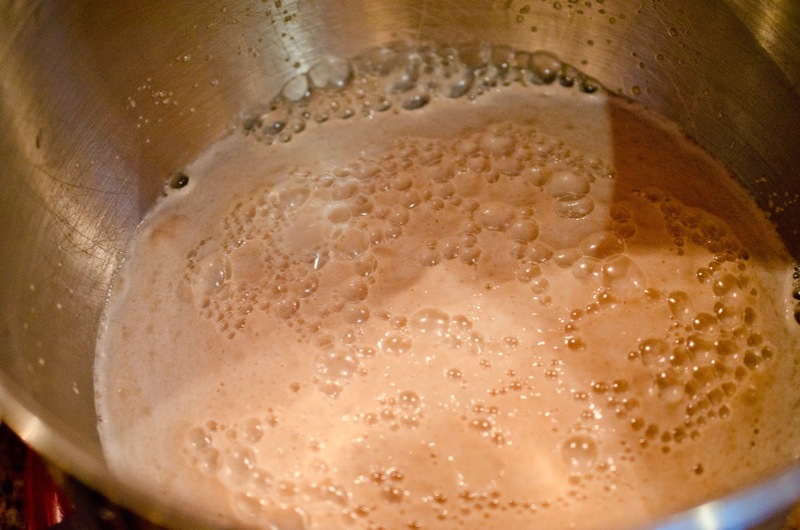 Place yeast, kosher salt and 1/4 cup sugar into bowl. Add water and milk, allow to activate and foam. 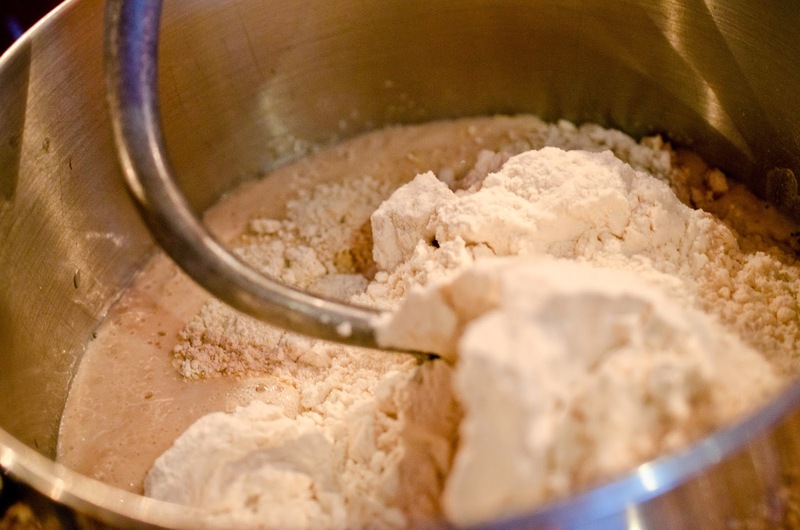 Add flours, mix with dough hook. Beat with dough hook for 5 minutes. in a warm place to rest for two hours. plumped up for at least 5 minutes, drain them completely. It's alive! Time to make some bread. If you happen to have super long 12 inch bread pans like I do, divide the dough in half. loaf pan. 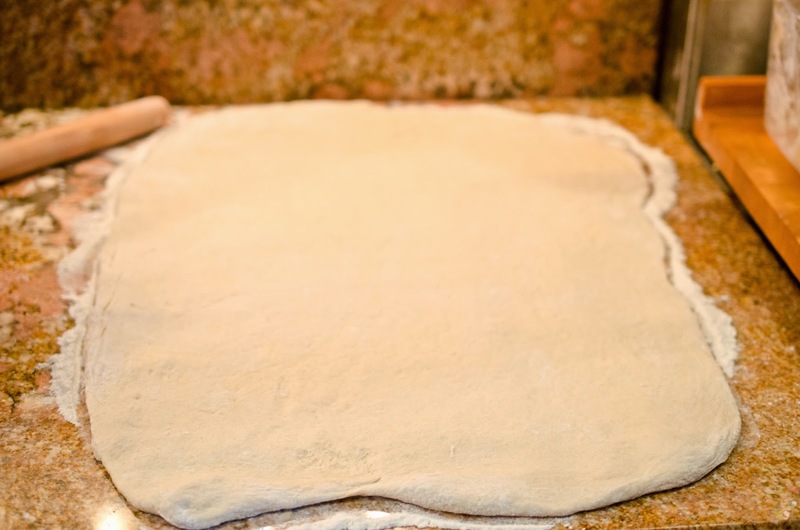 Roll the dough out on a floured surface into a 1/2 inch thick rectangle. This bread has a similar method to cinnamon rolls. you can eyeball it to see how much you want. Sprinkle half the raisins on the dough. necessary to fit into a buttered loaf pan. 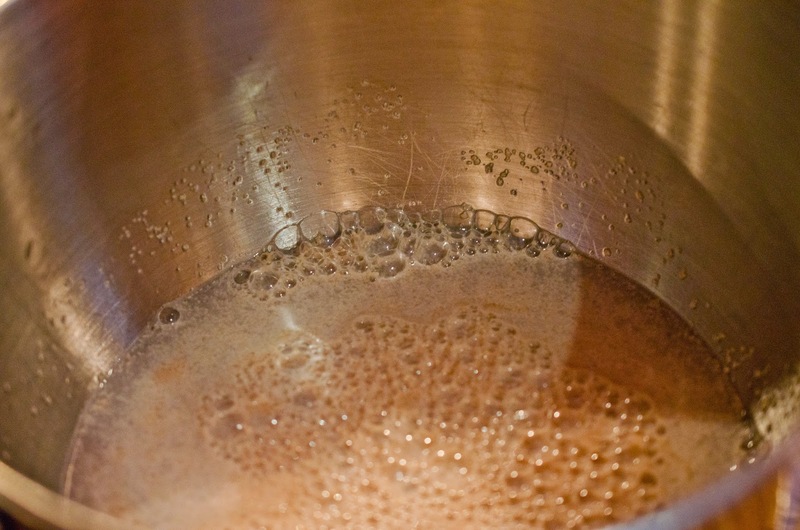 Brush with a mixture of 1/4 cup milk and 1 tablespoon cane sugar (white sugar also works). Allow to rise until doubled, and brush again with milk mixture. 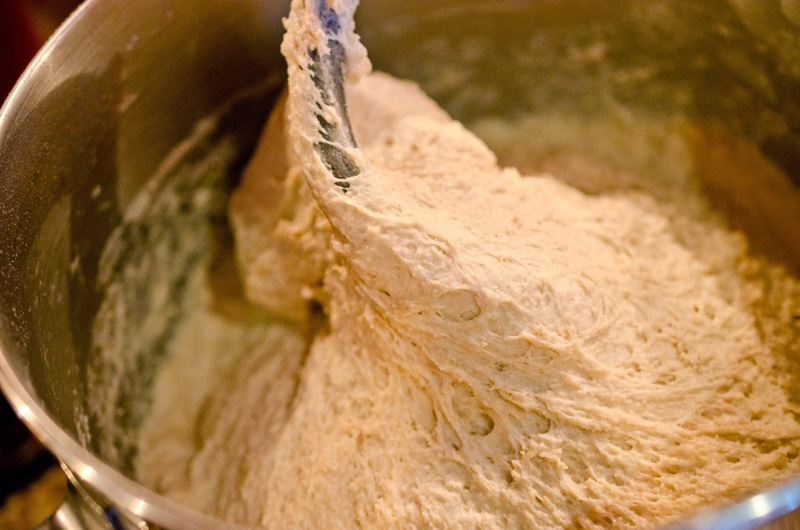 Allow the dough to rise in a warm place until doubled. Bake for 30 minutes on the middle shelf in preheated oven. 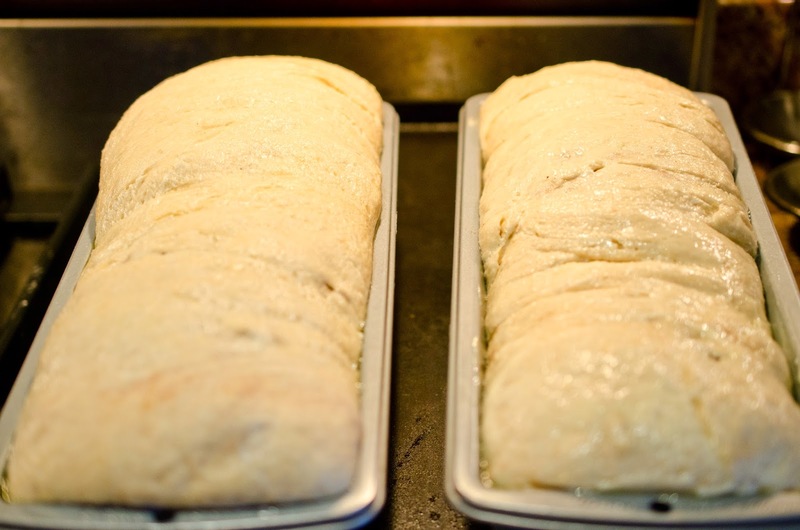 Remove bread from oven and allow to cool on a wire rack. Slice to your desired thickness and bring out the butter to spread. 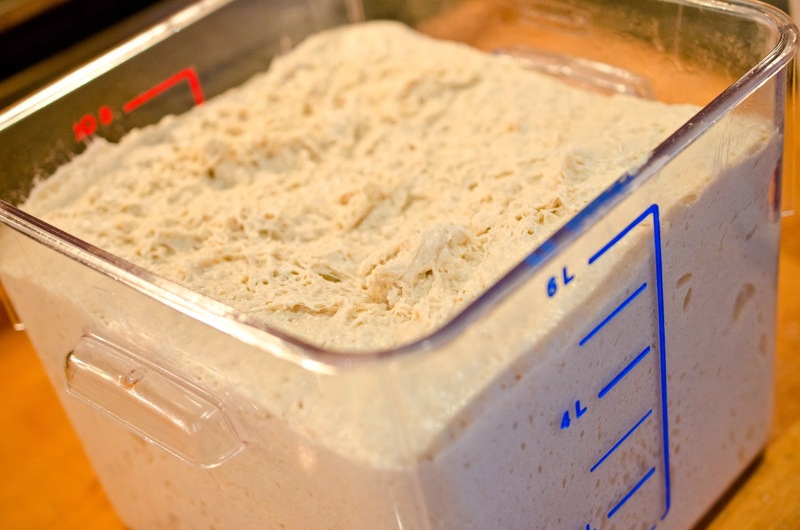 Spray the inside of a large lidded container, place dough in container. Replace lid and put in a warm place to rest for two hours. 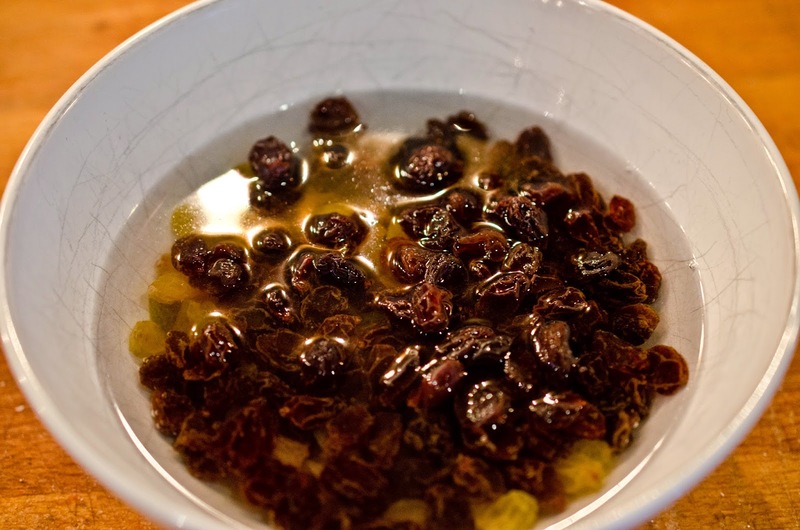 Place raisins in bowl. Add hot boiling water and allow to plump up. After they have plumped up for at least 5 minutes, drain them completely. If you happen to have super long 12 inch bread pans like I do, divide the dough in half. If you do not, then divide the dough into 1 1/2 lb. dough balls to be baked in a 9 inch loaf pan. 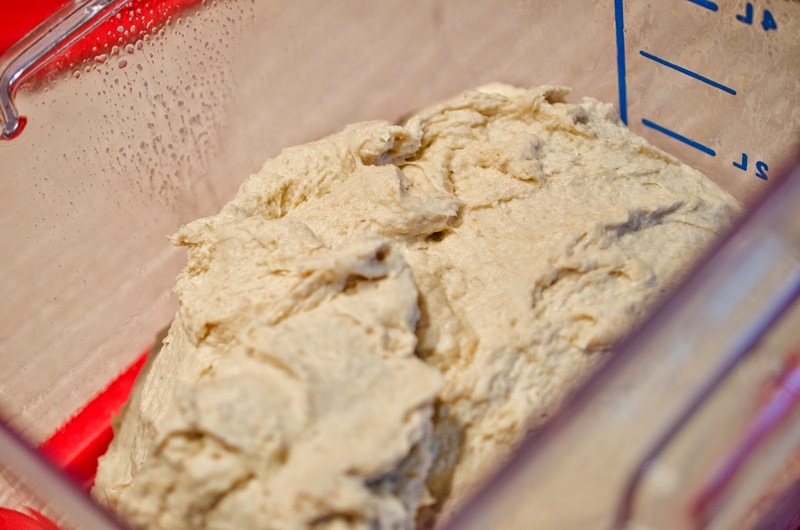 Roll dough out on a floured surface into 1/2 inch thick rectangle. 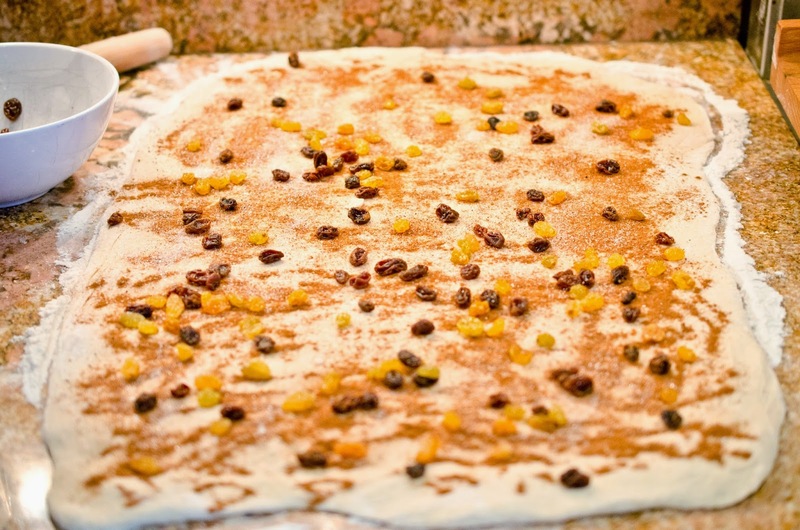 Sprinkle cinnamon and nutmeg on dough. I gave measurements for the recipe but really you can eyeball it to see how much you want. 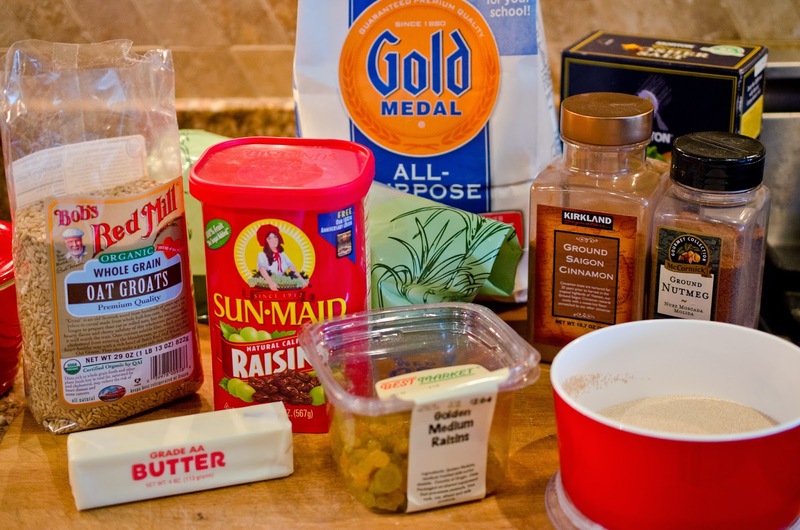 Sprinkle half the raisins on the dough. 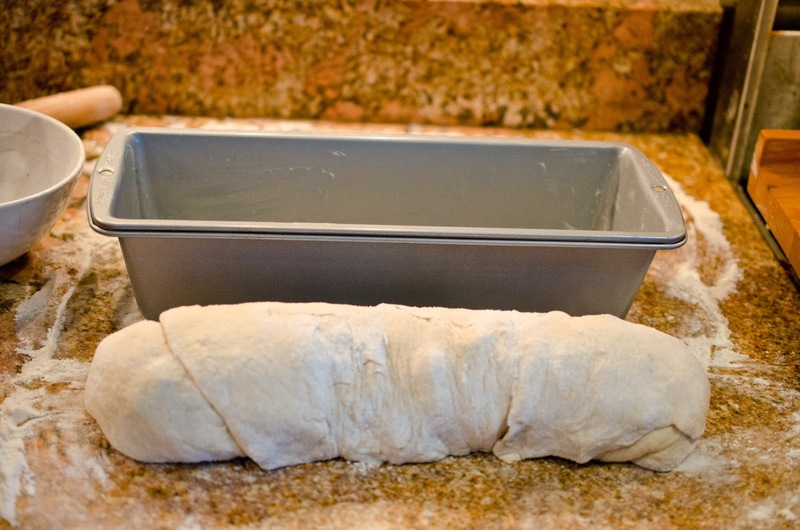 Roll dough tightly to form a loaf shape. Tuck the sides under themselves and squash if necessary to fit into a buttered loaf pan. This sounds SO good!!! I'm awful at making bread though, it's always too cooked on the outside and do dense and undercooked on the middle...any tips? Jessica I found this great bread troubleshooting page from King Arthur Flour that should help you. http://www.kingarthurflour.com/tips/bread-troubleshooting.html I was a terrible bread maker when my husband and I were first married so I know where you are coming from. Check out the site above, I think it should help with your questions. Don't give up, keep trying!